What Should I Expect from The Workouts? Mike believes every person should be able to see immediate changes after completing just one truly high intensity workout. 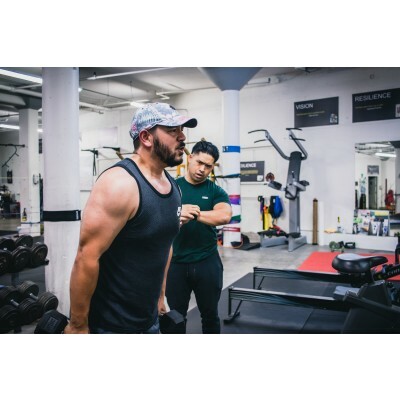 Each session with Mike is focused on mainly resistance training (using free weights, machines and cables), some flexibility/stretching, injury prevention techniques, and signature training methods to produce new changes every week. From the very first workout, Mike will be able to determine exactly where you are at, help you set realistic goals and push you to the level he believes you're truly capable of. How Do I Prepare Myself? 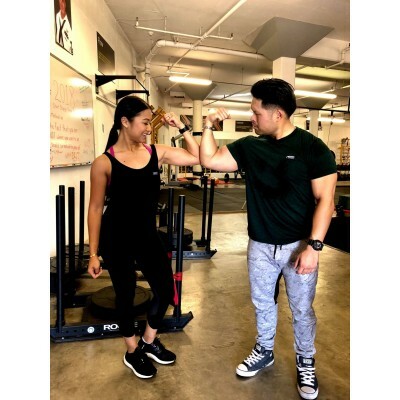 According to everyone who has ever trained with Mike; the workouts are described as the most challenging form of physical exercise they have ever done in their entire lives. The best way to prepare for your first week of training is to make sure your body is fully healed (no working out the day before), get at least 8 hours of sleep, and come to the gym mentally focused and ready to push yourself above and beyond! What Are Typical Results? Every single person has been able to produce noticeable improvements to their strength, physical appearance, and fitness level. Results can be seen even from just one session. However, for drastic transformations, 12-24 sessions program is best if you are looking to reach your lifetime best. *First-Time Tryout Session: $60 (Purchase your 1st session at 40% off Here! Or if you're ready to challenge yourself - sign up for one of Mike's complete training programs below! *FREE New Client Evaluation Form - Click Here! Please fill out the free "Evaluation and Waiver Form" so Mike can get to know your goals, body type and overall health. From there, he will give you recommendations on which plans are best for you, participate in future training, and/or receive a price quote for specific services.